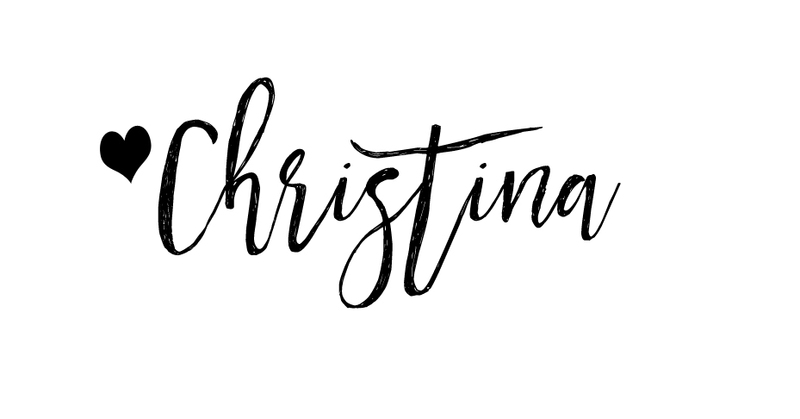 Cityline and I have teamed up to show you how I decorated my home. The first segment (watch here) showed a before and after transformation of my rooftop & main area, including my kitchen! For those who don’t know, Tiago & I bought our first home, a stacked townhouse in Etobicoke, almost 4 years ago. When we were in the design stages of our home, we knew that we wanted a bright home, and that didn’t necessarily mean we wanted lots of ceiling lights but we wanted everything to be light. In the past, we had dark hardwood and it drove us crazy vacuuming daily to not see dust and dirt, which is why we decided to choose light flooring. 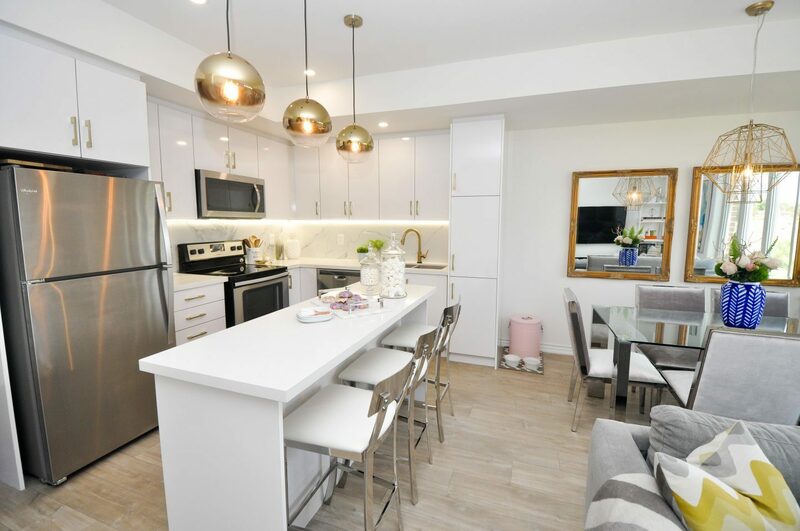 I also knew from looking at the floor plans that the place was one large open space, so we decided to do an all white kitchen to help make the space look larger. Once we moved in in February 2017 we realized there were still a lot of things that needed to get done in order for our kitchen to be our dream kitchen keeping in mind we were on a budget. Our dream backsplash was one large slab of Caesarstone to match our countertop, but that way too expensive. We chose porcelain floor tiles as a backsplash to create that marble inspired look at a much lower price. 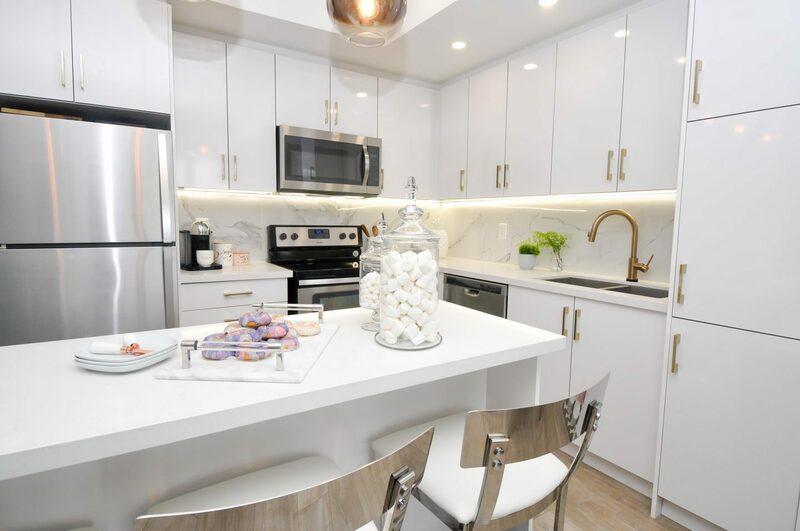 The one thing about backsplashes people tend to forget is that it is something you look at constantly, and I feel that if the backsplash is too busy you’ll become tired of it quick. My original plan since the day we bought was to tie in gold accents throughout the home. Tiago called me crazy numerous times and also told me how gold reminds him of his grandmas house. However, now that it’s all finished he realizes that I didn’t allow gold to take over the entire space and actually really likes it. If you decide to go the route of gold, keep in mind you need to mix metals in order to keep it looking classy, similar to what I did. 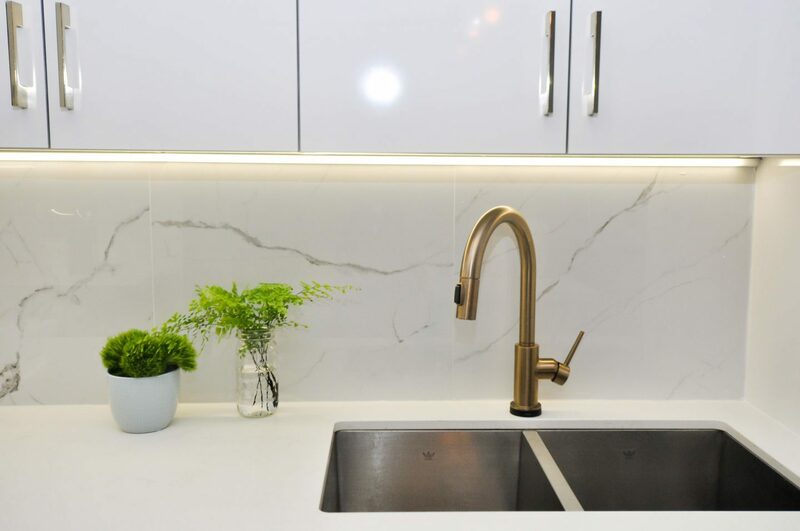 I was lucky enough to team up with Delta Faucet Canada for this amazing gold Touch 2.0 technology faucet, and with Wayfair Canada for the gold hardware & fixtures throughout the house. These gold accents helped add the sophistication I was trying to achieve in the kitchen.